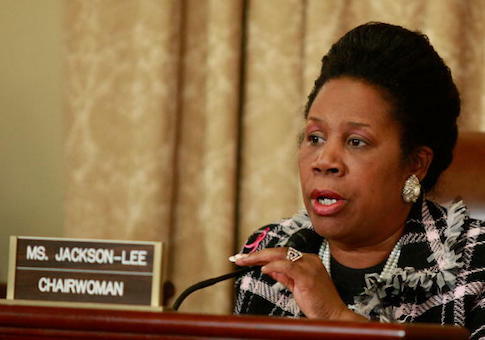 Jackson Lee had been asked by the CBCF board of directors to step down, but refused to do so, Politico reported last week. At least one board member responded in protest, and Politico reported that "sources with knowledge of the situation say more are expected to follow if [Jackson Lee] remains." "The Congresswoman is confident that, once all of the facts come to light, her Office will be exonerated of any retaliatory or otherwise improper conduct and this matter will be put to rest," Jackson Lee's office said in a statement. "While we still deny the allegations, we are especially concerned about Ms. Doe and only want the best for her and the many, many young people that the Congressional office has supported, encouraged, and provided opportunities for over 20 years." This entry was posted in Politics and tagged House Democrats, Sexual Assault, Sheila Jackson Lee. Bookmark the permalink.